Well, we received news of a job posting for the hubster back in Singapore around christmas. At first, I disbelieved that it was really happening but it was true and the packers came by to pack and ship away all the stuff yesterday. I am really thankful to God for His providence and its amazing how He never fails to be there when we most needed him. So we are moving back to Singapore in abotu 2 weeks' time and I am sure I will be a regular at the local SB stores now! 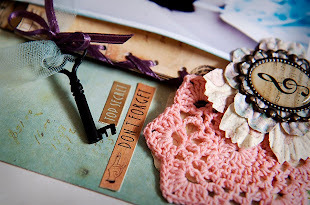 This layout is for Made with Love- Sketch Challenge #2. 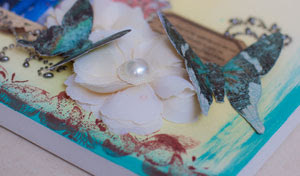 I actually won Sketch Challenge #1 for my layout 'Making Waves'...WOO HOO!!! I was really delighted how scrappin has worked out for me. There were several DT calls that I was interested in but I resisted. With the move back to Singapore, I foresee I will be busy before with packing, after with unpacking and settling into a new lifestyle without a helper and fitting the two monsters in too. 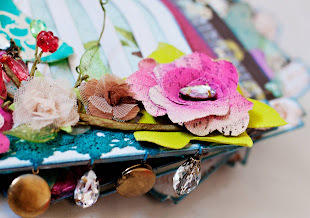 Scrapping is my hobby, something that belongs to me, helps me to de-stress and makes me happy, but as a wife and mum, I have other more important priorities and I must always remember that. 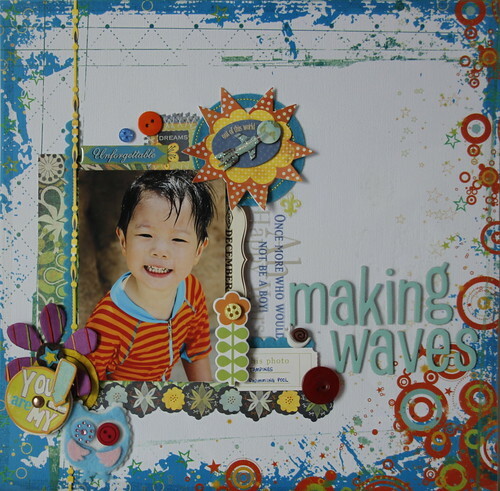 And this is my 'Making Waves' layout which won me Sketch Challenge #1. My little boy has grown up so much now. I have been doing so many layouts for Adah that I feel so bad about not adding to Asher's album. I actually completed this in a night and am really over the moon that the DT members picked mine as the winning layout! There were so many talented entries too. Back to the SIC challenges. For January, we were asked to draw inspiration from a magazine cover, and this is my take on it. I had to stare at the mag cover for a long time before inspo struck but once it did, the ideas definitely came flowing. Now I keep reminding myself to keep my eyes and mind open to things around me for inspiration. A layout of me and hubby at some beach off Tanah Merah. The title is 'Man. 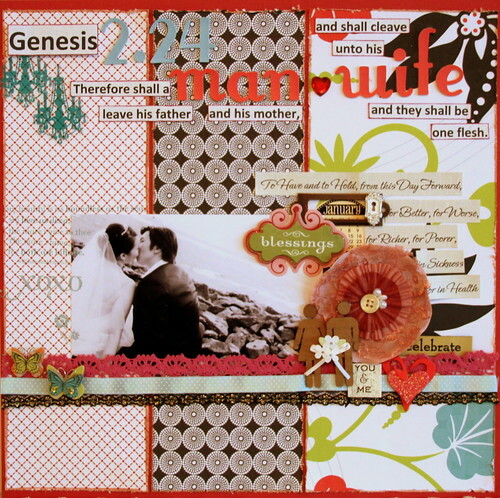 Wife' and I actually use a bible verse, Genesis 2: 24 for my journalling and built it around the title. Love this to bits! Papers were all from Scarlet Lime kit from last year! That is my little boy at 19 months old. He never fails to tug at my heartsrings with his gentle ways and the words he say. He is getting really cheeky these days but he still has that sensitivity beyond his years. 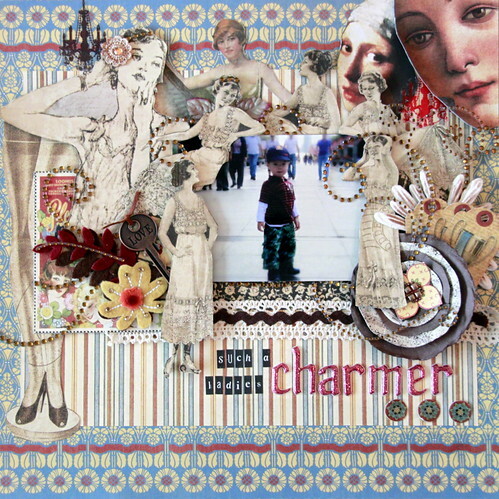 He just has the ability to melt many aunties' and teachers' hearts and so I titled the layout- Such a Ladies' Charmer.